Just spray and wipe with a microfiber cloth for a streak and haze free result! It's 100% green with no coloring, a slight fresh scent, and biodegradable, so it's safe for the environment and the user. When you have a job that requires being meticulous, one of our specially crafted kits does the trick! Make sure you have everything necessary for successful installations and maintaining screen excellence. Everyone has their own special needs. We allow you to mix and match any of our products. Photodon also can work with your organization to create private labeling or develop a complete install kit. We have paired up some of our best cleaning products with of our high quality Microfiber Cloths to create excellent cleaning kits. 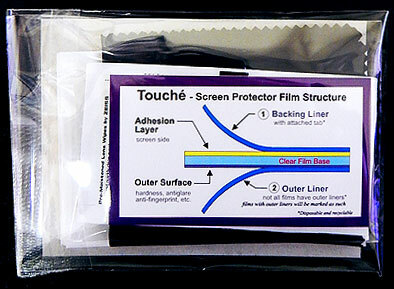 Our Film Installation Kit is one of our best sellers and is included in some of our larger film orders. Everything you need to help to make your film installation experience better is included! If you're not installing film but want to keep your devices clean we have the Photodon Ultra Screen Cleaning kit which has 4oz cleaner, a large silky cloth, 2 small silky cloths & a diamond weave. 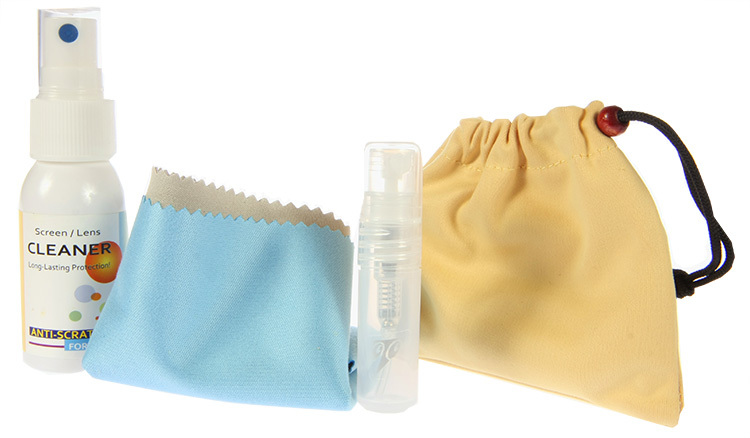 For smaller jobs, we've got 1oz & 2 oz kits and even an Anti-Scratch Travel Kit that comes with it's own handy pouch. Can't decide which cloths you like or just want to try them all? Try our Microfiber Screen Cloth Kit or the Multipurpose Microfiber Cloth Kit. They both have amazing Microfiber cloths included!